Our favorite reality TV stars, like Kyle Richards, Juliet Angus, Stephanie Hollman, and Kandi Burruss, love to show off their adorable kids and family photos on social media. It is tough to narrow down, but here is our pick for the sweetest photos from the past few weeks. Below you’ll find pics from Alexis Bellino, Jenelle Evans, Heather Dubrow, Caroline Stanbury, Kelly Dodd, Catherine Giudici, and more. 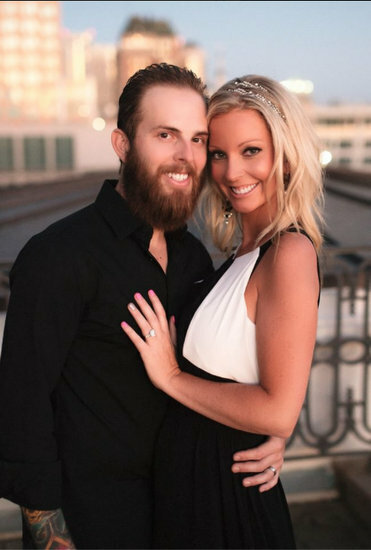 Tamra Judge’s Son Ryan Vieth Accuses Fiancé Of Disloyalty For Attending A Party With Gretchen Rossi! The drama began when Sarah attended a birthday party for party planner Emily Simpson, a party which also happened to be attended by former Real Housewives Of Orange County stars Gretchen and Lizzie Rovsek. Also at the party was Tamra’s one-time BFF/turned nemesis, Ricky. Apparently Emily was a one-time contender to join the show, as a friend of Gretchen’s, and who knows – maybe we’ll be seeing her on the next season! #AGirlCanDream. Emily also planned Sarah and Ryan’s baby shower. 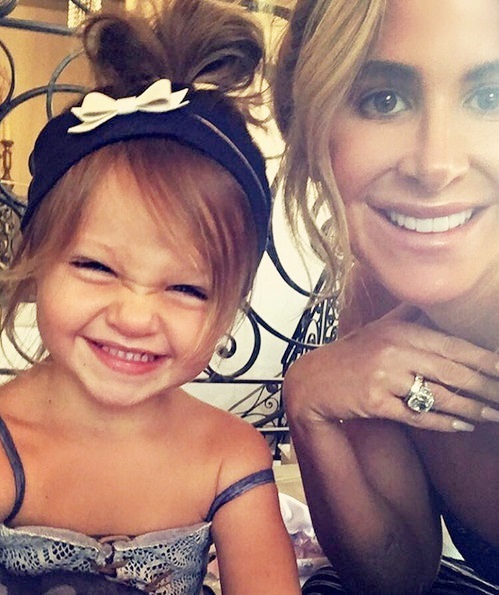 Reality TV Stars Family Pics Of The Week – Kim Zolciak, Kail Lowry, Shannon Beador, Tameka Raymond And More! Our favorite reality TV stars, like Shannon Beador, Chelsea Houska, and Jenni Pulos, love to show off their adorable kids and family photos on social media. It’s tough to narrow down, but here’s our pick for the cutest photos from the past few weeks. Below you’ll find pics from Vicki Gunvalson, Tia Mowry, Amber Marchese, Brandi Glanville, Tameka Raymond, Kendra Wilkinson, Kail Lowry, Tori Spelling, and more. Unfortunately, it seems Tamra Judge‘s eldest son Ryan Vieth will never get his act together. Recent police reports reveal that the new father was arrested last month after a drunken domestic dispute with his fiancé Sarah Rodriguez! On June 28th, while Tamra and Eddie were enjoying a belated honeymoon in Greece, Ryan was getting booked by the Orange County Sheriff Department after a physical altercation with Sarah. The Real Housewives Of Orange County star’s son was arrested on a domestic violence charge and taken into custody. Tamra Judge shared tonight that her son, Ryan Vieth, had to take fiance Sarah Rodriguez to the hospital with a pulmonary embolism. The Real Housewives of Orange County star took to Instagram to ask for prayers for baby Ava’s mom. Sarah and Ryan just welcomed their baby girl, Ava, last month. Our thoughts are with Sarah, Ryan, Tamra and their families. We’ll keep you posted on any updates Tamra shares.